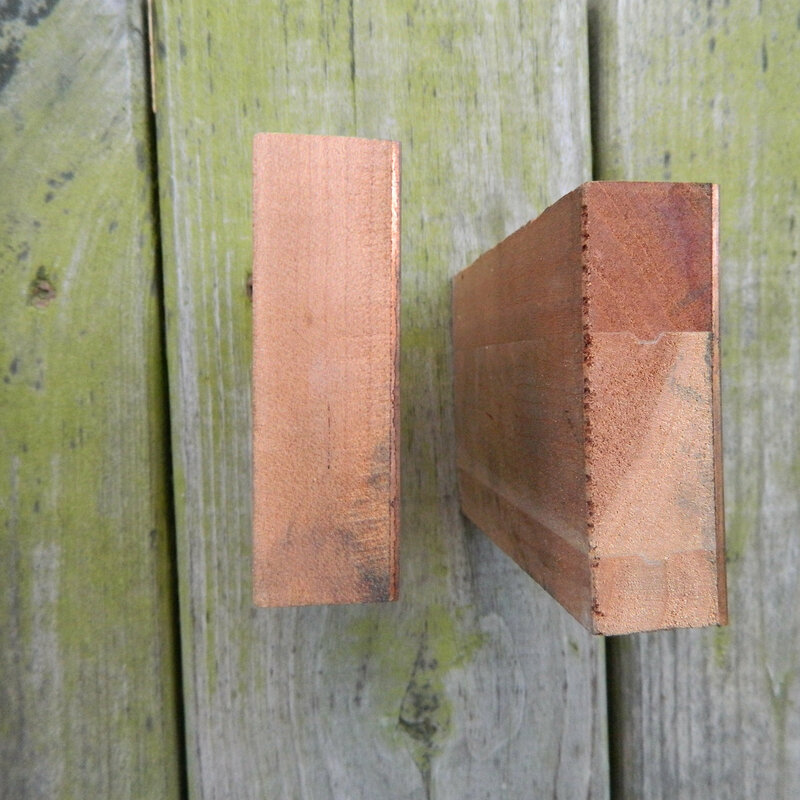 This listing is for TWO 5' x 3" wooden blocks with copper printing plates attached. 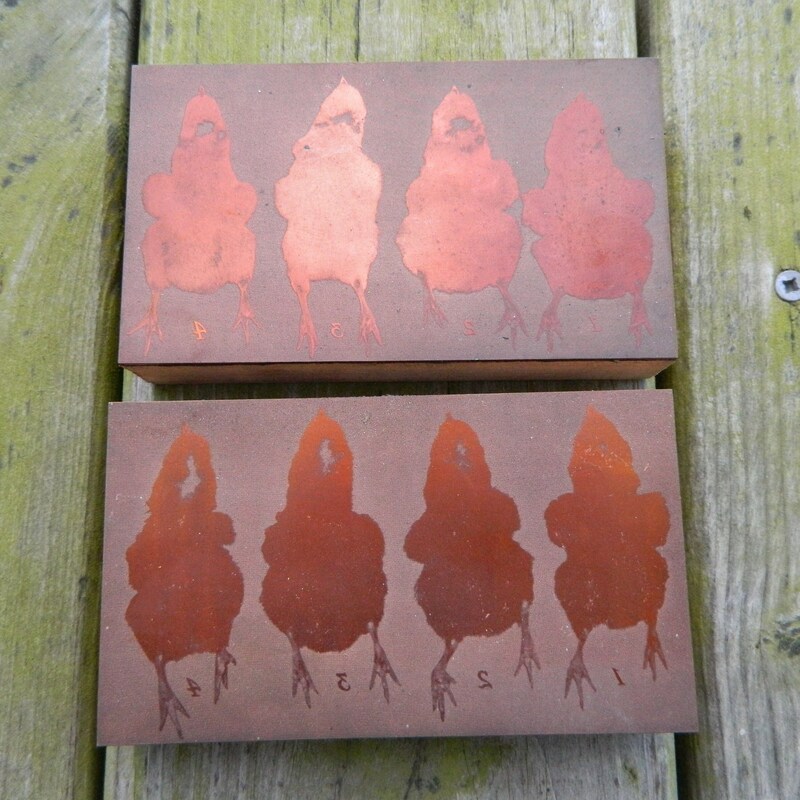 The picture depicts 4 chicks that are numbered underneath. The plates are slightly different.